Saïd Business School, University of OxfordThe role of reputation in a post-truth world, how shattered reputations can sometimes be rebuilt, and how President Trump’s dual reputations – as a chivalrous, polite, respectful leader on the one hand, and misogynist, bullying, irrational man on the other – were manipulated and used on both sides during his election campaign, are among the issues explored in a new book by Oxford academic Rupert Younger. 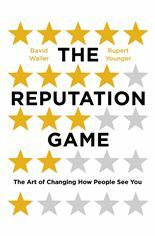 In ‘The Reputation Game: The Art of Changing How People See You’ (OneWorld), Younger and his co-author David Waller, a partner in a global consulting firm and former journalist, explore the secrets of how reputations are made, built, destroyed, and managed. Drawing on academic research, and featuring case studies and interviews with the famous and infamous, including Jay-Z, Simon Cowell, Bernie Madoff, Dennis Kozlowski and Hilary Mantel, the authors reveal the mechanisms and rules that underpin the reputation ‘game’. It also explains why Donald Trump’s election as US president took the political establishment by surprise. Thanks to his appearance on reality TV shows he had a positive reputation amongst many parts of the electorate – he was what a successful businessman looked like (capability). At the same time, he played on their perceptions of Washington politicians and the ‘elite’ and positioned himself as the campaigning outsider (character). It was clearly enough to ensure that they overlooked his character reputation elsewhere. The Centre for Corporate Reputation is an independent research centre within Oxford University’s Saïd Business School. We aim to understand how the reputations of corporations and institutions are created, sustained, enhanced, destroyed and rehabilitated. Our teaching is underpinned by academic research but includes contributions from leading figures in the business world. It spans the MBA curriculum as well as contributing to the Corporate Reputation and Executive Leadership Programme.